I’d agree with her if she hadn’t accepted money in her last campaign from donations and instead spent her own cash only on the election. Glass houses Mrs. Pelosi, glass houses. Here’s a link to her most recent campaign donations. What is disillusioning is that she is decrying this when she is willing to take the cash herself. According to the website, she took $120,000 from unions alone. Think about the union member who wouldn’t vote for her, but whose dues go to support her. I suppose that’s not disillusioning? Wake up Mrs. Pelosi and realize that politics has been bought and sold for centuries and that you are just another cog in the sad wheel. Take a look at what you and your party chief did last October and November; three major fundraisers where the cost to get in was $16,200 per person? Sorry, Nancy, but your disdain rings hollow. 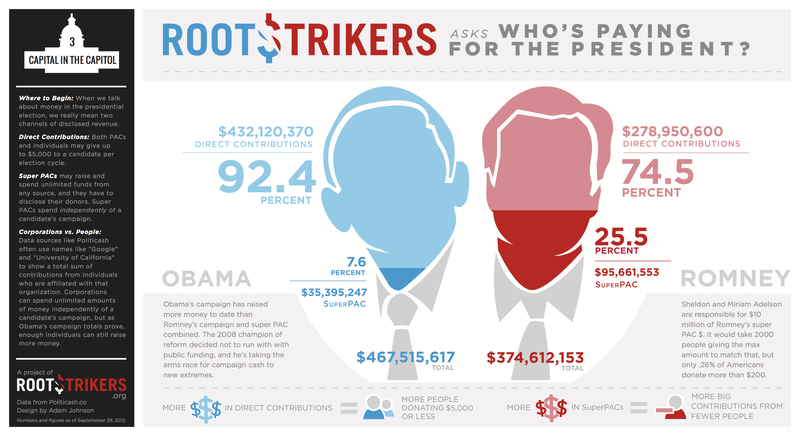 Or have you forgotten how much money President Obama raised in the last election? In case you have, Mrs. Pelosi, here’s a reminder. $432,120,370 is quite the haul. I’d say that’s really where the disillusionment rests. Imagine the good that could have been done with that kind of money. The material on these pages may not be used without written permission of the author. No unauthorized use, duplication, or reblogging is permitted. Links to the site and its written material may be embedded elsewhere provided that full and clear credit is given to Bryan Dumas and Fair To Middling.